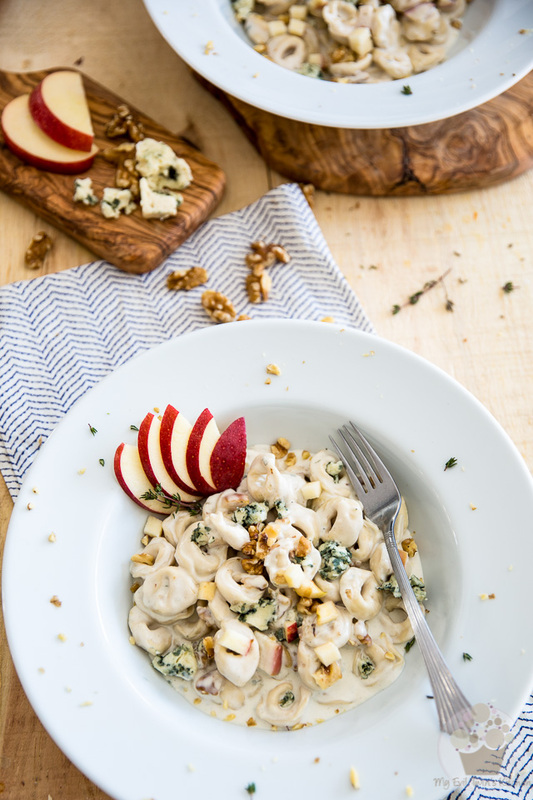 Blue Cheese Tortellini, smothered in a smooth and silky blue cheese sauce with pieces of fresh, crispy apples and buttery, crunchy walnuts. I’d been paying my brother a little visit that day, and if I remember correctly, at the time, he was sharing an apartment with one of our cousins. Either that, or that cousin also happened to be visiting that day, I’m not exactly sure. Hey, don’t be too hard on me, like I said, that was a very long time ago. And anyway, it’s totally besides the point. There came a time that evening when we got hungry and my cousin, who apparently knew his way around the kitchen, decided to whip up a rapid meal for the three of us to share. After quickly investigating the content of the fridge, he looked over his shoulder and asked if I was a fan of blue cheese. At the time, I’d never even been introduced to this “not-so-popular” and pungent member of the cheese family and quickly informed him of that fact, but also specified that I was more than willing to give it a try. 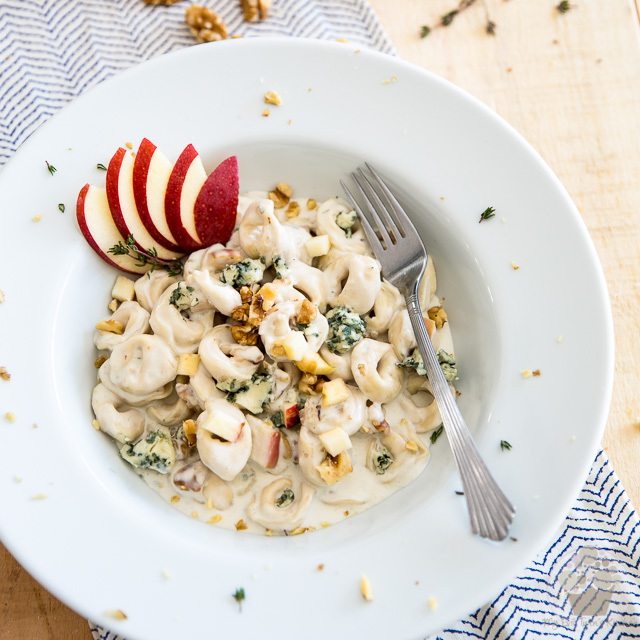 That was more than he needed to hear: he immediately proceeded to pull a few ingredients from the fridge, and in less time than it took us to drink a glass of wine, produced this utterly memorable meal: Creamy Blue Cheese Tortellini, with apples and walnuts. I think I was marked for life that day. It was, without the shadow of a doubt, one of the BEST things I’d eaten my entire life. I’m telling you, if you’re a fan of blue cheese, you’re gonna want to bathe in this thing. 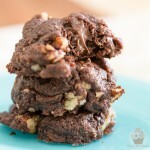 Not only is it crazy tasty and creamy and silky smoooooth thanks to the presence of the blue cheese, but with each bite you also get the refreshing crunch and sweetness of the red apple, as well as the buttery, nutty crunchiness of the walnuts. This dish is not like there’s a party in your mouth where everyone has been invited. No way. It’s more than that. 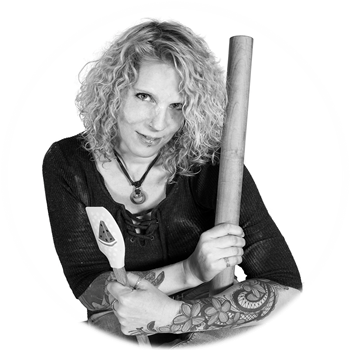 It’s like the most amazing street fest is happening right now, and it’s being held right inside your mouth! I’m telling you, this is the kind of dish that you’ll want to be making whenever you’re wanting to seriously impress your guests but that’s so very quick and easy to make, even a child could do it. Oh, and one more thing. 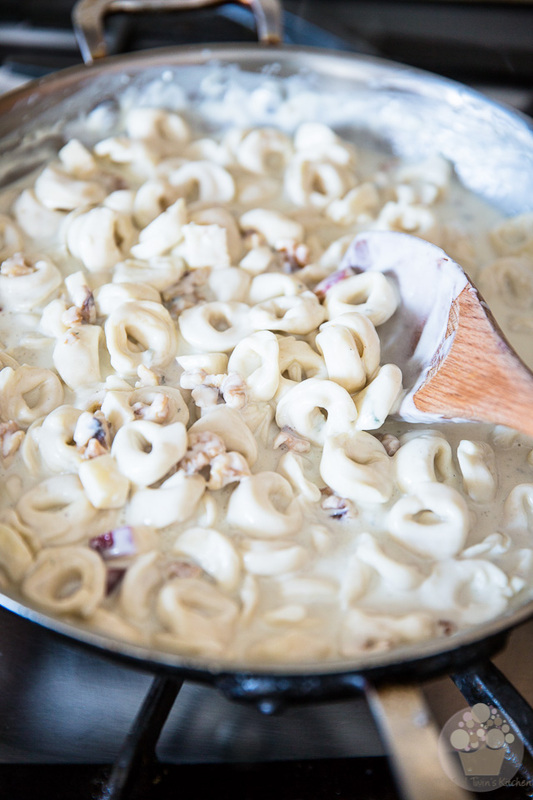 This is like food of the gods, you know, so when you whip up this heavenly blue cheese tortellini, you need to forget all about calories… or even the very concept of them! Besides, I’m pretty sure that calories don’t even exist up there in heaven. But hey, at least the photos of the different steps will give you an idea of what you should expect when you prepare the dish. 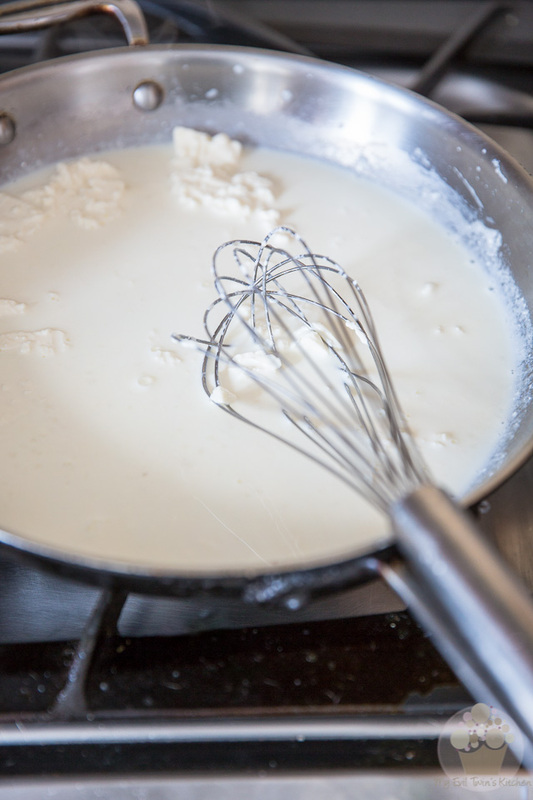 To start, bring the white milk and white heavy cream to a simmer in a large skillet set over medium heat. 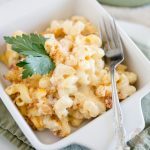 As soon as it starts to simmer, add the white cream cheese and mix delicately with a whisk until the cheese is completely melted and the sauce is smooth and silky. Don’t worry if at some point, your sauce looks something a bit like this: it’s completely normal. I always get kind of scared when I get to this point and worry that the sauce will never come together, but trust me, it does. It always does. Just give it time. See? All smooth and silky now. Time to add crumbled blue cheese (which also happens to be kinda white, even though it likes to be called blue) and whisk delicately until it too, is completely melted. 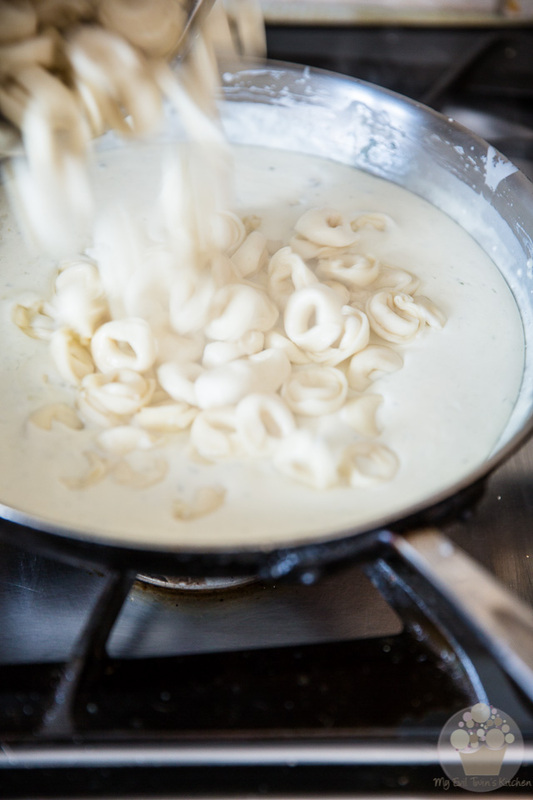 While you’re working on the sauce, cook the white tortellini according to the instructions on the package. 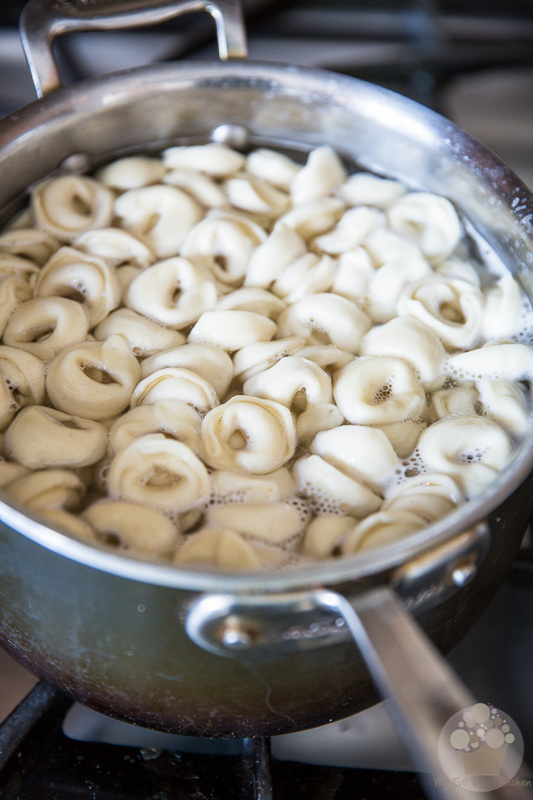 Be careful not to overcook the pasta: tortellini is surprisingly delicate and cooks fairly quickly. As soon as it starts floating to the top, it’s done. 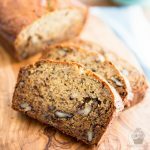 …along with the chopped walnuts and diced red apple (with the creamy white interior); gently toss until everything is well combined. Finally, we get a little bit of color! But, not for long… whatever color we just added, it just as soon got buried in the white sauce! 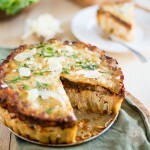 But fear not, it’ll look a lot prettier once we throw a little bit of garnish on this dish. 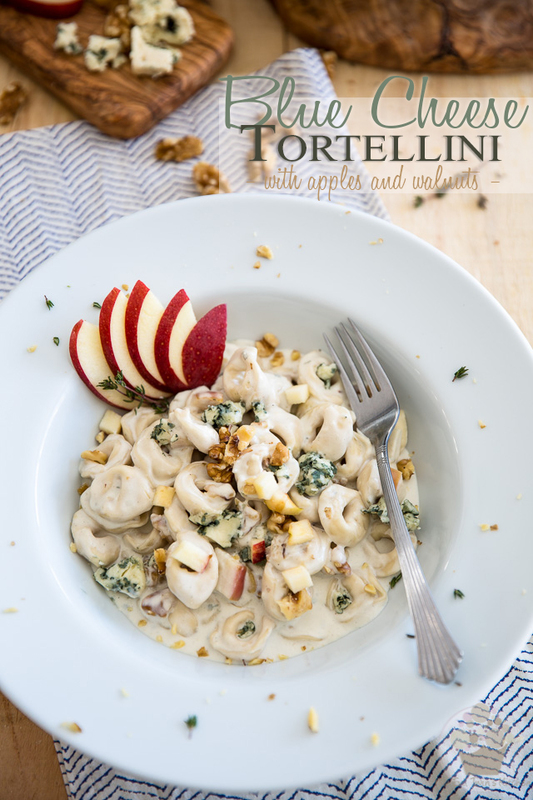 Divide the tortellini between your serving plates; sprinkle with a little bit of crumbled blue cheese and chopped walnuts and then garnish with a few slices of red apple. Ah! Now we’re talking! See how pretty this looks now? And just you wait until you get a taste of it! I say you shouldn’t delay: serve this while it’s still piping hot and… have a pleasant trip to 7th heaven! 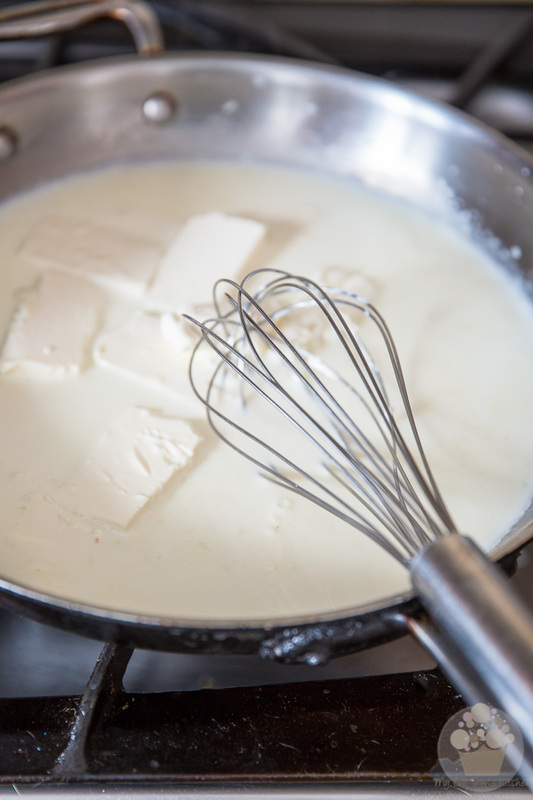 Bring the milk and heavy cream to a simmer in a large skillet set over medium heat. 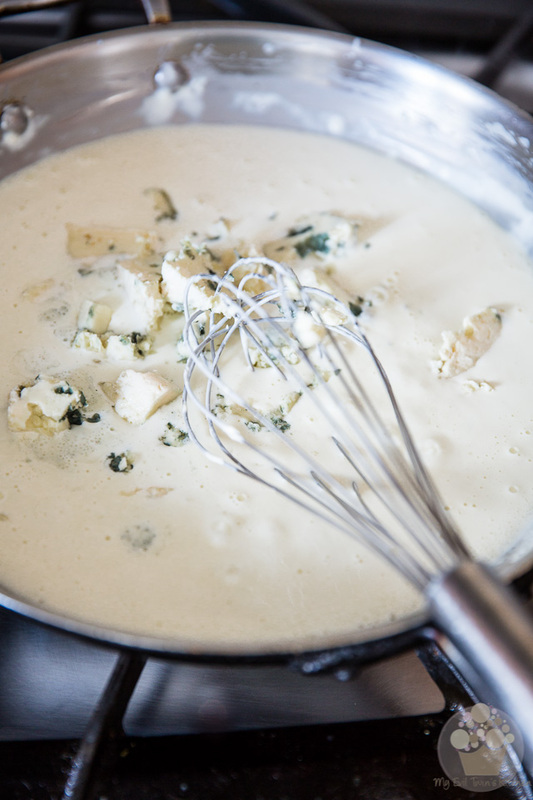 As soon as it starts to simmer, add the cream cheese and mix delicately with a whisk until the cheese is completely melted and the sauce is smooth and silky. Add the blue cheese and stir until it too, is completely melted. While you're working on the sauce, cook the tortellini according to the instructions on the package. Be careful not to overcook the pasta: tortellini is surprisingly delicate and cooks fairly quickly. As soon as it starts floating to the top, it's done. 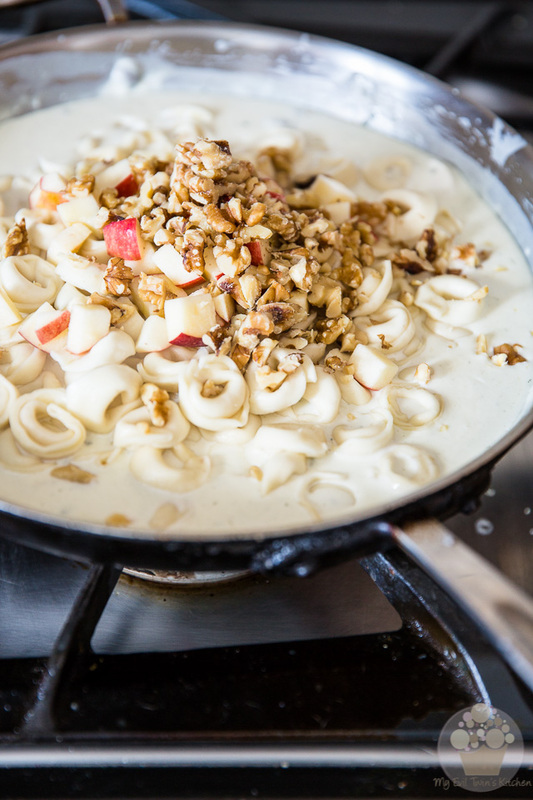 Drain the pasta well and add it to the creamy blue cheese sauce, along with the chopped walnuts and diced apple; gently toss until well combined. 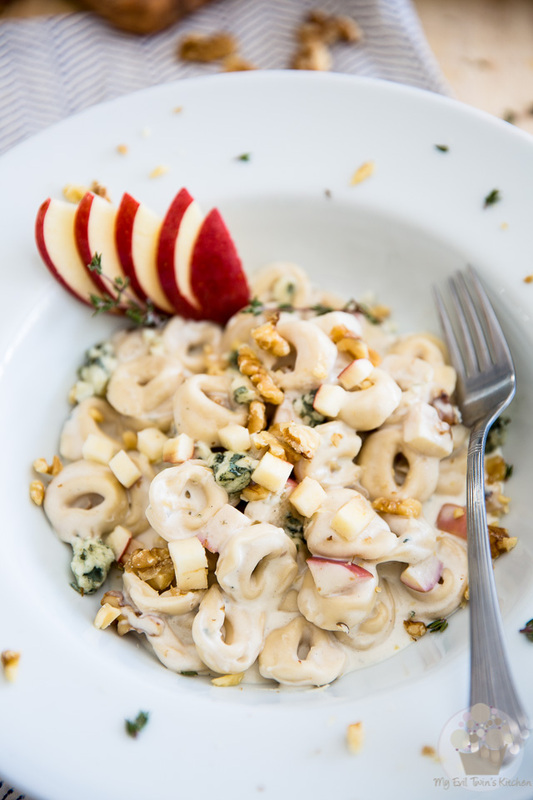 Divide the tortellini between serving plates; sprinkle with crumbled blue cheese and chopped walnuts and garnish with a few slices of red apple. This dish does not reheat well in the microwave. If you must reheat it, do so in a small covered saucepan, over low heat.